DUMP-LOK is an engineering breakthrough in dump truck safety. 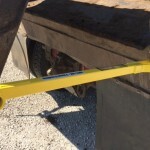 The DUMP-LOK steel braces lock your truck’s dump bed in the raised position, preventing it from falling in cases of system failure or operator error. Plus, DUMP-LOK safely holds dump beds at angles higher than most dump truck manufacturer body props, giving workers safe access to more areas underneath the dump bed. GATE-LOK safely secures open trailer gates. 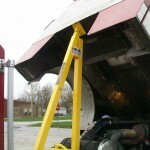 CAB-LOK safely secures the cab of cab over engine trucks during maintenance. 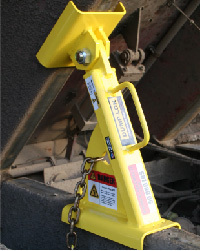 a self-loading wheel lift to be utilized safely as an on-site automotive service jack.